Yoon Sang Timothy Cho is a devoted conductor in New York City. At the young age of 25, he was appointed the position of Music Director and Conductor of Bergen Philharmonic Orchestra (New Jersey). 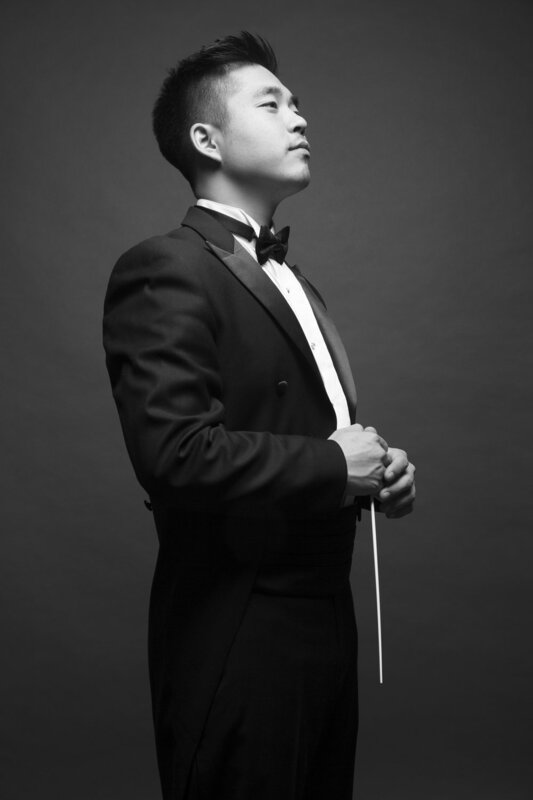 His conducting engagements include MSM Summer Orchestra, Amadeo Philharmonic Orchestra, Children’s Orchestra Society and New York Classical Youth Orchestra. Aside from his main posts, Mr. Cho works with various orchestras in the East Coast. Mr. Cho conducted the New York Premier of the Opera, Seonbi: The Noble and Wise Man with the Chosun Opera Company in Carnegie Hall (main stage). Mr. Cho has been invited to work with orchestras such as K-Radio Philharmonic Orchestra, Union City Philharmonic Orchestra and Detroit Symphony Orchestra. He has worked with New York Classical Symphony Orchestra, Ensemble 212 and Greenwich Symphony Orchestra as the assistant conductor. From Seoul, South Korea, Mr. Cho began his career in San Jose, CA with several award-winning violin performances with San Jose Young Artist Concerto Competition, California Young Artist Concerto Competition. He has also toured with San Jose Youth Symphony as the concertmaster in various countries in Eastern Europe and South America where the orchestra was awarded with the Ambassador Award for Cultural Diplomacy by the U.S. Ambassador, the Hon. April H. Foley. Mr. Cho came to New York in 2009 for his Bachelor of Music Degree in Violin Performance (2014) at Manhattan School of Music. He continued his musical endeavors at the institution receiving his Master of Music Degree in Orchestral Conducting (2016). He is currently pursuing Doctor of Musical Arts Degree in Orchestral Conducting at Manhattan School of Music under the tutelage of George Manahan.